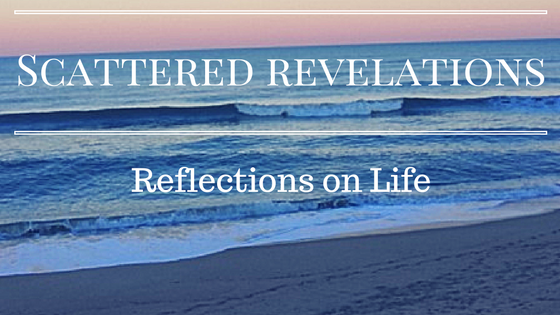 I preached this sermon on Sunday Dec. 25, 2016, at the Unitarian Universalist Fellowship of the Rappahannock. While the Christmas season provides increased opportunities to hear the story of Jesus’ birth, few contemporary versions consider how first-century Gospel readers would have understood the message, according to a Vanderbilt University New Testament scholar. Jesus’ birth and the writing of the Gospels both occurred in the Roman Empire. Levine said that the New Testament writers ask their readers a political question: will they worship the Roman Emperor, who was regarded as divine but who ruled by military force and economic exploitation, or will they be loyal to a Jewish messiah who proclaims that the one who wants to be first must be a servant of all? Levine believes that part of the problem with the Christmas story is that it tends to get abstracted from the rest of the New Testament. Levine encourages people to read all sacred scripture with respect. “We study it with respect, not only for those who believe the words are divinely inspired, but also with respect for the authors and the audiences who first heard them.” She said that the Bible is meant to be read, to evoke strong emotions and to speak to readers today. More insights into the first-century context of the Christmas story can be found in The Jewish Annotated New Testament, which covers all the books of the New Testament. The book’s co-editor is Marc Zvi Brettler of Brandeis University. Merry Christmas and Happy Hanukkah! This year Christmas and Hanukkah overlap with the first night of Hanukkah last night so I thought it would only be right to talk today on Jesus and his family as Israelites, as Jewish people. Biblical scholarship from the Jesus Seminar that includes Marcus Borg and John Dominic Crossan, books such as The Jewish Jesus by Peter Schafer and Paul the Jew, an edited collection of essays, has focused on understanding Christian Scriptures with a focus on their Jewish origins. All too often in the history of Christianity and our own UU history, Christian Scriptures have been viewed either as a fulfillment of the Hebrew Scriptures or that the Christian texts supersede the Jewish ones. Unitarian minister and theologian, Theodore Parker, was noted for his anti-Semitism and his negative view of the Hebrew Scriptures. On a personal level, I have been attending Congregation Or Ami, a Reform Jewish congregation in Richmond for the last year and a half. I have taken an Introduction to Judaism Class and an Introduction to Hebrew. In addition, one of my teaching jobs is the 8th grade class at Or Ami. As I have been exploring Judaism, a desire I have had for awhile, I have come to some important decisions. The first is that I have withdrawn as a candidate for UU Ministry and the second is that I have decided to convert to Judaism and will formally begin the process in the new year. So for this talk it is only appropriate to look at the Christmas stories through the eyes of Judaism. On the last class of Religious School before Winter Break, I gave the 8th grade a quick summary of the two Nativity stories from Matthew and Luke. Far too often the two stories get meshed together so we have angels, shepherds and wise men all in one story but in reality, just like Genesis 1 and Genesis 2 with the two stories of Creation, the Nativity stories are each unique written by and for particular communities. The communities of Matthew and Luke were very different and hence we have stories reflecting the perspectives of the community. We also have to consider the historical time and context. The gospels were written after the fall of the Second Temple in 70 CE. The Pharisees, one of the sects within Judaism, is ascending and creating the Rabbinic Judaism we know today. There is a quest to redefine Judaism in the wake of the oppression of the Roman Empire, the Destruction of the Temple and the Diaspora of the Jewish people. When we talk about the communities of the Gospels, they are not yet Christian, they are Jesus followers. So these early communities were diverse and they were in the midst of a fight between the more Israelite communities around Jerusalem and the more Gentile, Greek and Roman communities that were further out. In Matthew’s story there are no shepherds, no angels singing. Joseph is important in Matthew’s story as a receiver of dreams, just like Jacob’s favorite son Joseph (and the story of Joseph was the Torah portion for this week). Matthew has Joseph receive the dream that his family is in danger and to flee to Egypt and when it is safe to return (remembering that Joseph also goes to Egypt where he saves his family from starvation). Over and over throughout the text, the listener or reader is reminded of earlier stories, of important Israelite leaders and historical moments. Now let us turn to the Nativity story in Luke, Luke’s community is a Gentile community, steeped in Hellenistic thought and culture (the very culture that the Maccabees revolted against). Luke’s story begins with the announcement by an angel to Zechariah, a priest, and his wife of Elizabeth, who is barren, will have a son, John the Baptist, even though both are advanced in age. Again to the listeners of the story, they would remember Abraham and Sarah and how Sarah also bore a son in her advanced years. This is also where Mary is visited by an angel. Here the Nativity narrative is filled with many more details. There is announcement both to Zechariah and Elizabeth, to Mary, the birth of John before Jesus, a census, the travel to Nazareth, the shepherds, no wise people and Angels singing. For Luke’s community the story begins with many recognizing the importance Jesus has already, years before his public ministry. Joseph plays a greatly reduced role in this narrative, he receives no dreams, he does not rescue his family from Herod. He is simply Mary’s husband and Jesus’ earthly father. From the beginning we are told in Luke that Jesus is God’s son. Mary is the key parent in Luke’s narrative. Luke gives her the beautiful prayer of the Magnificat beginning with “My soul magnifies the Lord.” It is Mary who ponders the events of Jesus’ birth and childhood in her heart. In contrast, Matthew puts Joseph as the central parent, we hear nothing from Mary. It is Joseph, not Mary who receives the prophesies. 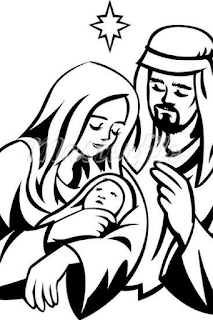 In the story of the actual birth there is no census or travel or being turned away at the inn, Matthew ends the birth story with “When Joseph awoke from sleep, he did as the angel of the Lord commanded him; he took her as his wife, but had no marital relations with her until she had borne a son; and he named him Jesus.” (Matthew 1:24-25) After this Matthew moves right onto the Magis and the flight to Egypt. For Luke the birth is announced to shepherds by angels who come to see the child in the manger. Luke then goes into presenting Jesus at the temple on the eighth day for circumcision, where again two prophets praise God upon seeing the baby. Luke does not give his genealogy until after Jesus is baptized by John the Baptist. Luke prioritizes the uniqueness and newness of Jesus, the universality of Jesus, the baptism of Jesus, which would have been something the full members would be familiar with from their own Baptism. For Matthew, Jesus is the fulfillment, the answer to the hopes for deliverance, for the fulfillment of the prophecies where once again Israel would be independent and free from oppressive foreign forces. Both stories stress important elements of Jewish history and practice: the importance of names - Jesus’ name is known before his birth and commanded by G-d; Jesus is the descendent of David, there is listening and obedience to God’s commands whether in dreams or in visitations by angels. Throughout both narratives, despite making different choices about what to include both Matthew and Luke are communicating to their communities by referencing the stories that would have been so familiar to the community. In our modern age, it is difficult for us to imagine the memorization of text that was so common in the ancient world. While few could read, many could recite texts from memory and tell the stories. As Amy-Jill Levine tells us in our reading, the listeners would not just hear part of this story, or a selected reading, edited and divided into a three year lectionary. The stories of Torah and the Prophets would be familiar, so much so that Matthew and Luke do not have to make the connections explicit. Matthew does not have to say in the text, hey look Jesus’ father is Joseph and just like Jacob’s favorite son, Joseph, who was a great dreamer, Joseph listens and heeds his dreams. No for the listeners that connection was obvious. One of my favorite Biblical scholars is John Dominic Crossan. Crossan tells us in Who Is Jesus? Answers to Your Questions About the Historical Jesus, “My point, once again, is not that those ancient people told literal stories and we are now smart enough to take them symbolically, but that they told them symbolically and we are now dumb enough to take them literally.” Too often in our modern world there is a division into camps, the stories must be literally true or inerrant, without error, or the stories are not factually true so therefore they are not important at all. If I were to offer one critique of my experience of Unitarian Universalism is that all too often the stories of the Hebrew and Christian Scriptures are read and interpreted as literally true, or that their purpose is to convey facts or history as we understand them today. This “literal” reading of the text then meets the UU emphasis on reason and rationality, which is a good thing, but then the text is dismissed, seen of being without value, or that it is a nice story, good to pull out a couple of times a year and then for the rest of the year it is put away, much like Amy-Jill Levine states in our reading today. Much like Evangelical Christians who insist on the literal reading of the text, who will not engage in the possibility that the stories can be filled with Truth, with a capital T, without being literally true, much is missed. When we focus on did it happen, how did it happen, can we even know if it happened that way; we end up missing one, the message of the story which has nothing to do with what may or may not have occurred and two, the beautiful complexity which the authors used to weave their story. The story of the birth of Jesus, is the story of the birth of a Jewish child, to Jewish parents, who was raised and steeped within both the culture and practices of Judaism. When time is not taken to hear the stories under the story, we miss so much of what the writers were saying. So this year, this Christmas, this Hanukkah, let us listen for the stories beneath the story. Let us look at Scripture, yes with reason, but also with creativity and imagination and seek to understand what these stories have to tell us today, what light they can shed in the darkness of our time, what hope they offer. Let us make them living texts, ones who are both unchanging in the telling and whose meaning changes as the times and world changes. The stories of this Jewish family were written to give hope to a people struggling under an oppressive Roman Empire. They were to give hope to a people who had lost so much. They gave a way to understand their situation and to hold on to hope even in the darkest of days. Matthew’s story in particular, reminds us how even children are not spared the cruelty that we humans are capable of inflicting on one another. As we look in the faces of the families fleeing from Syria, from Yemen and from so many other places filled with war and killing, let us see this Jewish family, on only the words of a dream, fleeing danger and death. We can imagine Joseph maybe wondering if he was just a little crazy to uproot and move his wife and young son to take a long journey to Egypt, how scared Mary must have been and the trust she had in Joseph to protect her and their child, and for a young child, leaving all the familiar things behind but held safely in the arms of his parents as they ran. So I invite us in this celebration of Christmas and the celebration of Hanukkah, to look at these texts anew. I invite us to worry less about whether a lamp of oil burned eight nights instead of one or if Jesus was really conceived by the Holy Spirit, or if Matthew’s version is more accurate than Luke’s version, and reflect instead on what these stories may tell us about today, about our world, about our own lives. I invite us to peel back what we have been told, or what we think we know of these stories, and hear them anew. I wish you all a very Merry Christmas, a Happy Hanukkah and a Joyous and Hope-filled New Year!